Converted in 1962 from a former pilchard curing cellar and seine loft, Barnaloft is an award winning block of beachfront flats and studios. Each unit has a balcony overlooking the sea and there is private access to the beach. It is ideally situated in the old quarter of St Ives, a few minutes away from the shops. We make our studio apartment available via Airbnb throughout the year. 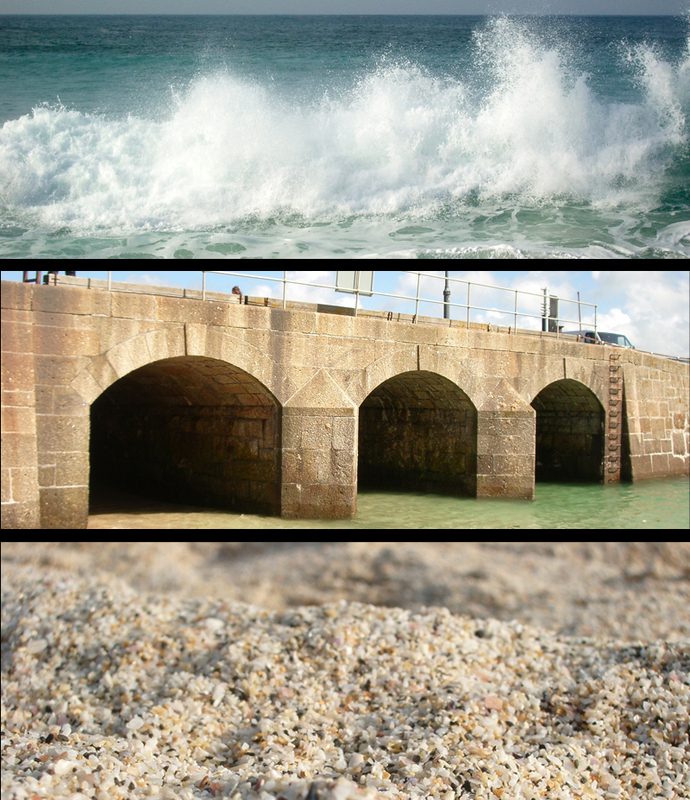 Ideally situated in the old quarter of St. Ives. The studio is very comfortably decorated and furnished. It is on the top floor, all electric and has been made as convenient as possible to run as a holiday home. There is a coin operated laundry in the block, and a cleaner is employed to service the property. This property is not really suitable for small children due to the unguarded open-tread staircase. Please ask if you are wondering about this. From March to September inclusive we let from Friday to Friday in week blocks. Also, you are able to book two, three or more week blocks in a row if you wish. The Airbnb calendar crosses out the non-Friday days but this does not mean they are booked. If anything is unclear, please just contact me. Outside of those months, short and more flexible lets are available. Click here to visit the Airbnb full description, with calendar and prices. Click here to book direct for stays during the holiday season.